BLOOMINGTON, Indiana – Millions of Hoosiers who have served on military installations across the U.S., including a base in Indiana, may have been exposed to chemicals linked to cancer, developmental problems and other potentially deadly health problems, according to a U.S. Department of Defense report released in late July. The chemicals, noted to be “extremely persistent in the environment,” have been used for decades to fight fires on military and civilian airfields nationwide in the form of aqueous film forming foam. They also are used to make carpets, clothing, furniture fabrics and other materials resistant to water, grease or stains. 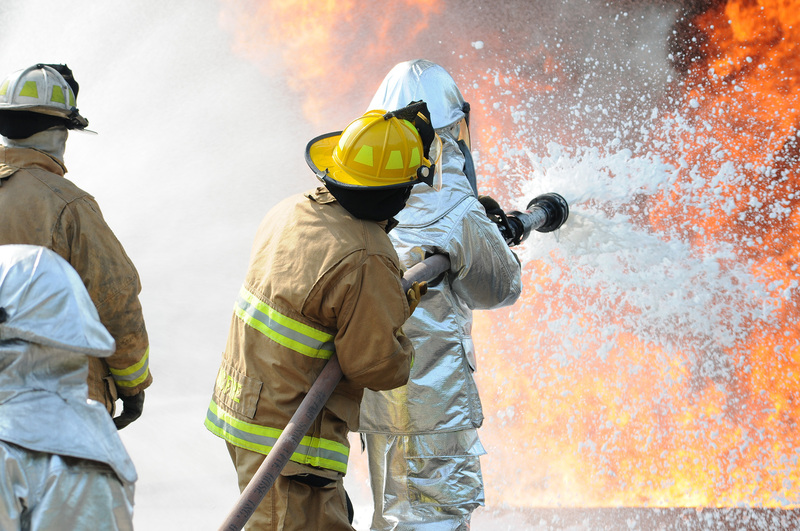 When used in firefighting foam, the chemicals can leach into drinking water. Although the drinking water wells at Grissom met safety standards for PFOA and PFOS, the Air Force reported that 16 of 18 on-base monitoring wells not used for drinking water tested above the EPA lifetime health advisory levels. The Air Force says only 19 out of 203 installations tested face drinking water mitigation, but that may not prevent people living on or near affected military installations from being affected by the chemicals. The U.S. Environmental Protection Agency says besides drinking contaminated water, people can be exposed to the chemicals in other ways like inhaling dust with traces of the chemicals. Alternative forms of exposure could lead to the same adverse health effects. The Air Force Civil Engineering Center admits that additional site testing may be required for 190 of those installations. It’s unclear whether Grissom ARB will be among the installations required to undergo further testing, or when that will happen. The U.S. Environmental Protection Agency issued lifetime drinking water health advisories for both PFOA and PFOS in 2016. The chemicals are not banned, but the EPA warns that prolonged exposure could cause adverse health effects. The chemicals have been linked to developmental problems in fetuses during pregnancy or in breastfed infants, including low birth weight, accelerated puberty or skeletal variations. They have also been linked to testicular and kidney cancer, tissue damage in the liver, and multiple changes to the immune system and thyroid. The U.S. government began using aqueous film forming foam in the 1970s to extinguish petroleum fires. The PFOS-rich foam fulfilled the military’s firefighting requirements for burn-back resistance, protection against vapor release and rapid fire extinguishment. The primary U.S. manufacturers of both PFOS and PFOAs voluntarily agreed to phase out production by 2002 and 2015 respectively, according to an EPA fact sheet. The EPA is concerned about their continued use in existing stocks and imported goods, but the Department of Defense has not followed the lead of manufacturing companies. In 2016, the Senate Armed Forces Committee ordered the U.S. Government Accountability Office to find out how the Department of Defense was following drinking water regulations on active and former installations. 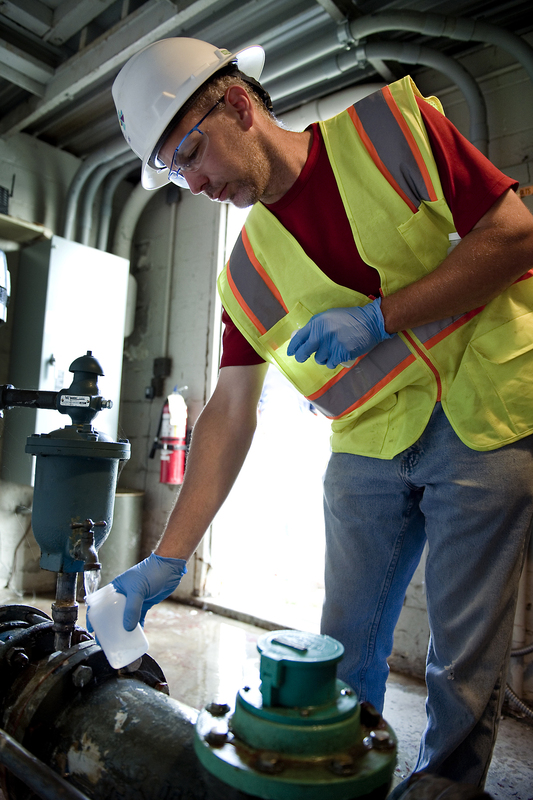 The GAO was also tasked with finding out how the DoD tracked non-regulated but potentially dangerous chemicals, known as emerging contaminants, on those installations. Some bases are supplied by municipal water systems, others by the Department of Defense. Both municipal and DoD water supplies must comply with federal drinking water standards, Lepore said. However, he said those standards apply only to contaminants or chemicals that are regulated by the EPA. “PFOS and PFOA are not regulated by the EPA, so they’re not enforceable,” he said. 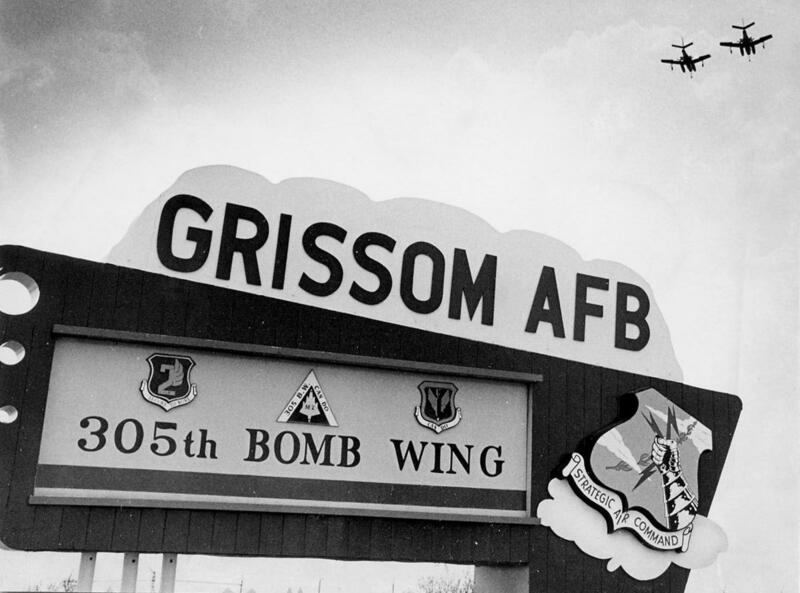 Grissom Air Reserve Base was an active duty military installation that housed Air Force units until 1994. During that time, Air Force firefighters trained to put out petroleum-driven aircraft fires using the AFF foam. The base was split into two in 1994, with half going to the Air Force Reserve and half cleared for civilian use. One year before the EPA’s lifetime health advisory, testing at Grissom revealed monitoring wells possibly contaminated with perfluorinated chemicals like PFOS and PFOA. Although Grissom’s water was not contaminated with PFOS and PFOAs, installations in other states were not so lucky. In 2017, the Air Force admitted that foam used at Peterson Air Force Base in Colorado Springs, Colorado had contaminated the drinking water for about 69,000 people living in nearby communities. Over the years, residents claim to have experienced rare forms of cancer and underweight births. The Air Force agreed to buy affected residents drinking water and to pay for operating and maintaining water filter systems. So far, this single mitigation effort has cost at least $5 million. The GAO says the DoD has spent at least $200 million on nationwide PFOS mitigation and expect to spend more over the years. 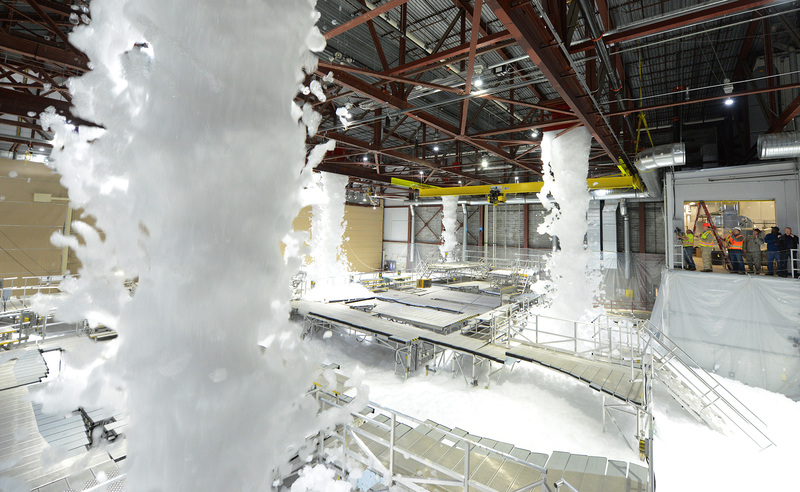 The DoD says it is funding research for new firefighting foam formulas, and aims for a PFOS/PFOA-free foam. Until then, the military will continue to use the AFF foam. The GAO also looked into how base installations followed drinking water standards. Researchers found that the installations supplied by water from DoD sources instead of municipal utilities showed significantly less compliance to those regulations. The GAO found that installations supplied by municipal water sources were in compliance 99 percent of the time. That number fell to 89 percent for DoD supplied water sources. The Department of Veterans Affairs has recognized that veterans may have been affected by exposure to PFOS and PFOA. 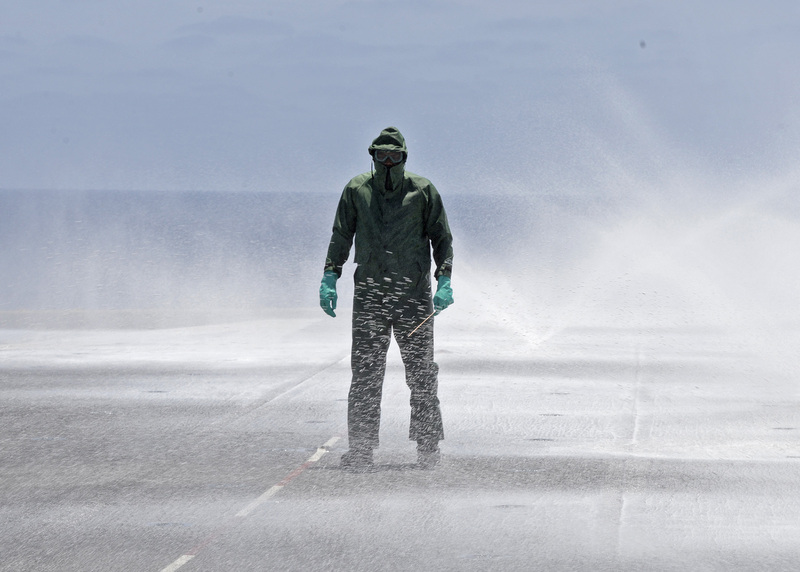 The department has added the chemicals to its list of possible military exposures, and asks veterans to report any health problems associated with exposure to the chemicals. A Department of Defense report says millions of Hoosiers who have served on military installations across the U.S., including a base in Indiana, may have been exposed to chemicals linked to cancer, developmental problems and other potentially deadly health problems. Monitoring wells at Grissom Air Reserve Base just north of Kokomo tested above EPA lifetime health advisory levels for PFOS and PFOA. Drinking water, though, was not contaminated. The DoD says hundreds of military installations may require more testing.